engineering, or entering STEM careers), May 3, 2017 – April 30, 2019. 2. 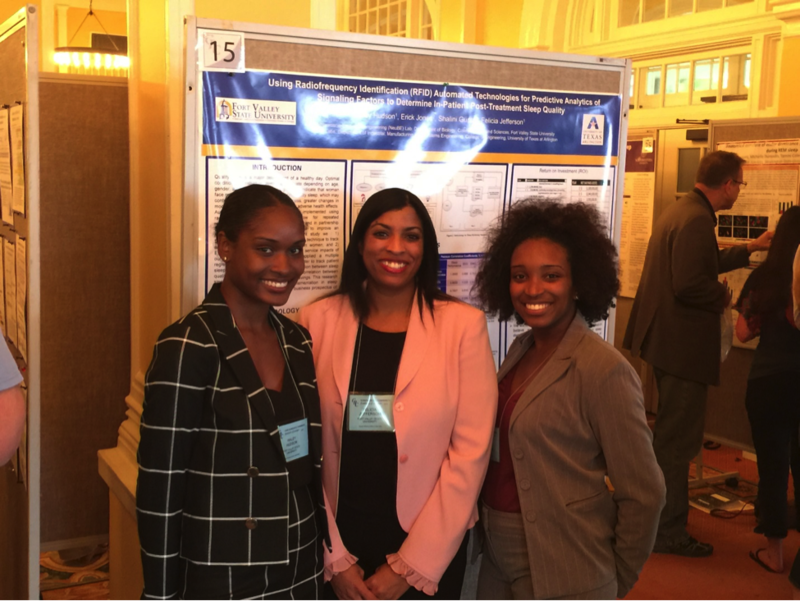 HHMI Undergraduate Science Education Program Faculty Research Mentor, Howard Hughes Medical Institute, Spelman College faculty research adviser to six undergraduate African-American female dual degree science and engineering students, 2014. Four (the maximum given to a single institution in a single year) of these six students received a Society of Toxicology Research Award. 3. Faculty Undergraduate Education Award, Society for Toxicology, 2015. Received an undergraduate education award for teaching and research excellent in biochemistry. PI’s research laboratory was awarded the maximum number allowed (four) research travel award student recipients to annual the Society of Toxicology meeting during the same year. 4. Associate Editor, International Supply Chain Technology (ISCT) Journal, An official journal of the International Supply Chain Education Association (Engineering), (Print ISSN 2380-5730; Electronic ISSN 2380-1204), 2015 – Current. 5. Ehlen, J.C., Jefferson, F., Brager A.J., Benveniste, M., and Paul, K.N. (2013). Period-amplitude analysis reveals wake-dependent changes in the electroencephalogram during sleep deprivation. Sleep, 1;36(11):1723-35. 4. Jefferson, F.A., Xiao, G.H., and Hein, D.W. (2009). 4-Aminobiphenyl Downregulation of NAT2 Acetylator Genotype–Dependent N- and O-acetylation of Aromatic and Heterocyclic Amine Carcinogens in Primary Mammary Epithelial Cell Cultures from Rapid and Slow Acetylator Rats. Toxicological Sciences, 107(1): 293-297. 5. Muller, A., Boiter, E., Hu, T., Carr, G.J., Le Ferve, A.C., Marchandeau, J.P., Flor, M., Jefferson, F.A., Aardema, M.A., Thybaud, V. (2005). Laboratory variability does not preclude identification of biological functions impacted by hydroxyurea. Environmental and Molecular Mutagenesis, 46:4 221-235. Invited Article: 25th Anniversary of Environmental and Molecular Mutagenesis, 2005.